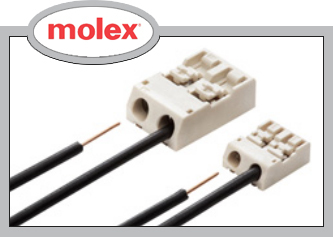 Ideal for thin LED lighting-module applications, Molex's Lite-Trap™ and Mini Lite-Trap™ SMT wire-to-board connectors offer the lowest profile options available for wire-removable types, with an easy-to-use push-button latch. © 2018 Electrocomp part of Electrocomp Holdings Group. All Rights Reserved.